2019 Grand Jury Award of the Mountain Film Festival (Mammoth, USA) in category Foreign Films. Official selection 2019 Travel Film in Russian Festival, Moscow, Russia. 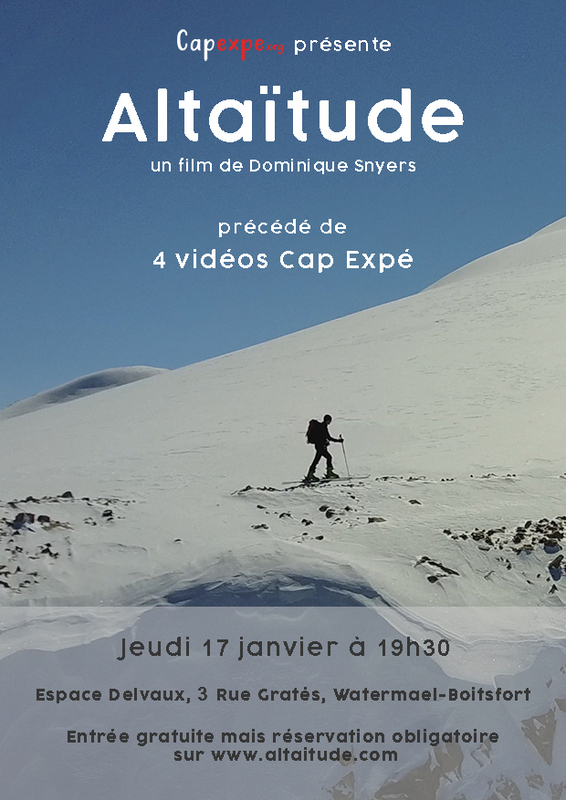 March 29, 2019, 8pm: Belgian Alpine Club (Namur Section), Salle Adeps, Jambes, Belgium. April 19-21, 2019: Travel Film in Russian Festival, Moscow, Russia. April 27, 2019 : Festival Aventure du Bout du Monde (ABM), Liège, Belgium. October 11th, 7:30pm: Auditoire A10, Place des Sciences 2, Louvain-la-Neuve, Belgium. October 17th, 8:30 pm: Au Nom de la Rose, Avenue Gouverneur Bovesse 2C, 5100 Jambes, Namur, Belgium. November 7th, 6pm: Dutch Mountain Film Festival, Pontstrasse 141-149, 52062 Aachen, Germany. November 9-11, 2018: Explore Images, Festival International d’Images et d’Aventures, Nice, France. November 20, 2018: Club Montagne EPFL, Lausanne, Switzerland. December 5, 2018: Le Courant d’air, Woluwe, Belgium. January 17, 2019: Espace Delvaux, Rue Gratès 3, Watermael-Boitsfort, Belgium. March 1, 2019 1:15pm: KTH Outdoor Club, Stockholm, Sweden.